What main trends currently affect the fragility landscape? What are the key findings from contexts affected by fragility? How are fragile contexts faring in achieving sustainable development? What official development assistance went to fragile contexts? What are different methods to measure aid flows for preventing fragility, conflict and violence and for sustaining peace? What sources of external development finance are available to fragile contexts? What sources of internal resources are available to fragile contexts? What do financial flows look like using a multidimensional lens? What is the right financing for fragile contexts? How can the international community better address fragility today? This report shows that, without action, more than 80% of the world’s poorest will be living in fragile contexts by 2030. This means that development actors across many sectors will need to better grasp the unique challenges of development in fragile contexts if the ambitions of the Sustainable Development Goals are to be met. 1. We must recognise fragility if we want a better world. 2. We will accept complexity and address all dimensions of fragility. 3. We will invest in more and smarter aid in fragile contexts. 4. We will step up our efforts on prevention, peace and security. 5. We will invest in the data to better understand, anticipate and respond to multiple states of fragility. 6. We will support the capacity of governments to deliver inclusive solutions to their own states of fragility. 7. We will never lose sight of the end goal of delivering hope and better lives for all people in fragile contexts. ODA disbursements to the 58 fragile contexts identified in the 2018 fragility framework available here. 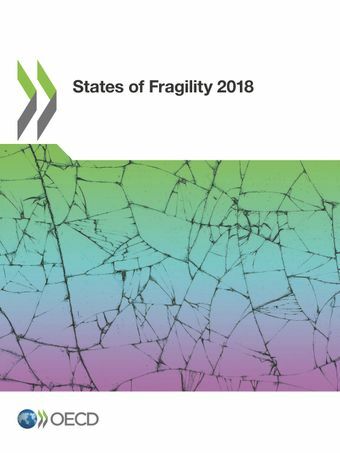 The OECD introduced a new multidimensional fragility framework in 2016 in order to better reflect fragility’s complexity and to highlight those contexts that require differentiated attention. The 2018 edition of the framework is an update of the previous version with the most recent available data. Methodology and complete data files can be found on GitHub.